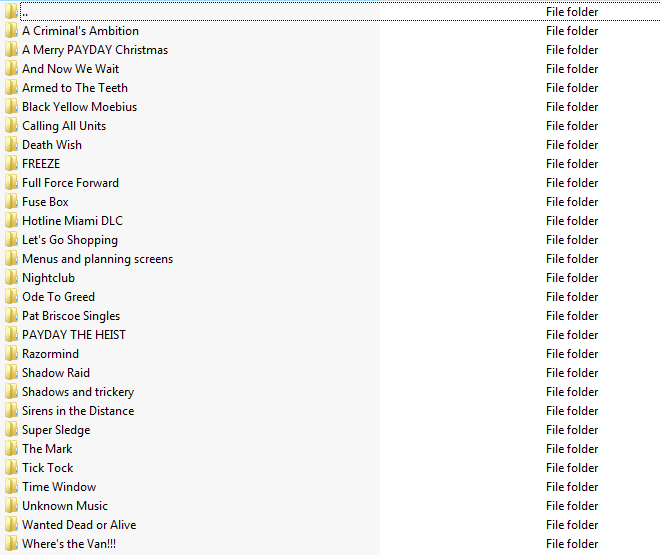 I've sorted out every single song element from the game and put them in their respective folders for you to use. They are also chronologically labeled for easier access, so for example, if you wanted to piece together the whole track as it might sound for "Armed To The Teeth" during the casing phase, buildup, and assault phase, you would put (in your audio editing program of choice; I use Audacity) Assault buildup 1, then 2, then 3, then 3.5 (the holder), then 4, then Assault Phase - and so on and so forth. This allows you to clip whatever you want, add whatever you want, or create whatever delay/rush you might wish to do. 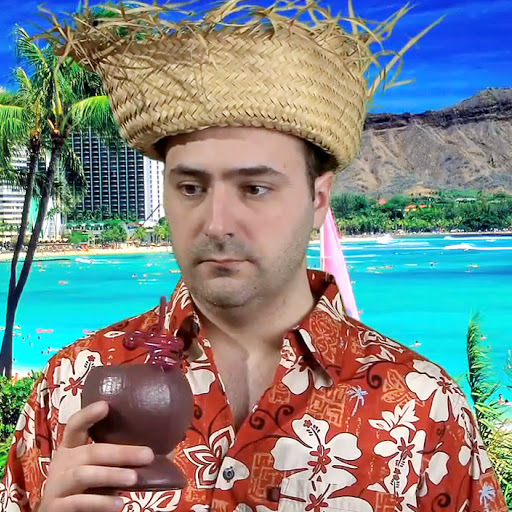 Screencap for relevance. Also, a screencap of all the tracks in the file if you choose to download - and of course, the tracks from PD:TH which are now in the game. Although I must warn you - the size of this download is 2.28 GB UNCOMPRESSED - meaning that this is the true size of the soundtrack after extraction (for reasons which are beyond me) - so it may or may not take a while for you to download. This is also why there is no download link for this file here as the size limit is 500 MB. Having said that, click me to proceed to the file download. Greetings. I have recently attempted to download the Payday 2 Soundtrack. Everytime I attempt to download it, I receive "Decryption Error". I shall attempt to search for a solution, however, do you have some form of a backup link, should the attempt fail? Hi Fexymysimple121, I didn't delete it. Someone ratted out on the file, and it was taken down. I have not uploaded it elsewhere yet, and am figuring out where would be best. Thanks. It is possible to just import the music from Payday if you bought them, right? Are they sorted differently than here? GUYS THE THERMAL DRILL, GO GET IT. Nov. 30, 2014, 9:12 p.m.